Today is the greatest day I’ve ever known, for it is today that I learn William Patrick Corgan may have slept with a shapeshifter. Can’t live for tomorrow, tomorrow’s much too long—I’ll burn my eyes out, possibly because I will now be picturing this visual every waking hour for the rest of my life. For those who may not remember the strange reflections of a ’90s alt-rock king, last October Corgan stopped by the Howard Stern show, and during the ensuing interview announced he had once seen a shapeshifter. He was awfully cagey on details at the time—simply saying he was with someone at one point, and then “suddenly you turn around and there’s somebody else standing there”—leaving us to wonder about the circumstances of such a supernatural encounter, our curious minds unfulfilled. (“I wanted more than life would ever grant me,” you probably said at that moment.) 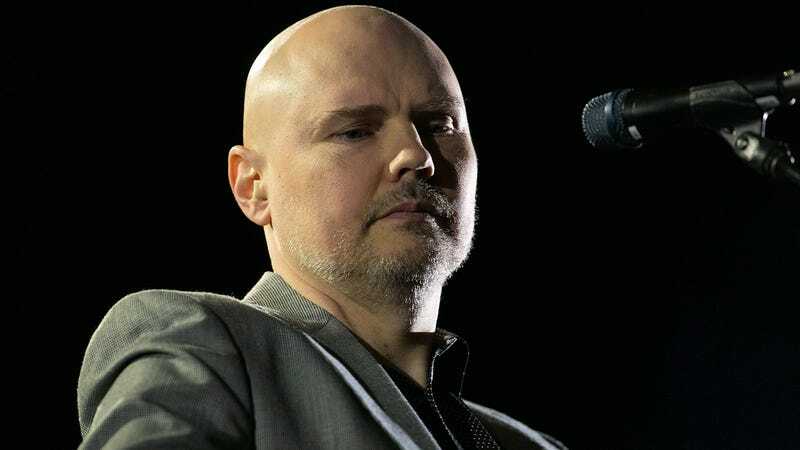 Well, this week Corgan returned to Stern’s show with the rest of Smashing Pumpkins in tow, and he offered up another tidbit of this 100 percent real experience. Truly, today is the greatest, because it allows this vivid distraction from the ongoing trainwreck of current events. But do tell the rest of us the details as well, please—you can’t wait ‘til tomorrow, you might not have that long. I’d end with “I want to turn you on,” but we have to draw the line somewhere. Remember when you still had the capacity to laugh at Billy Corgan defending Nickelback?